You can search for an item using the search bar or by using the categories on the right hand side of the Asset Store page to find an item. 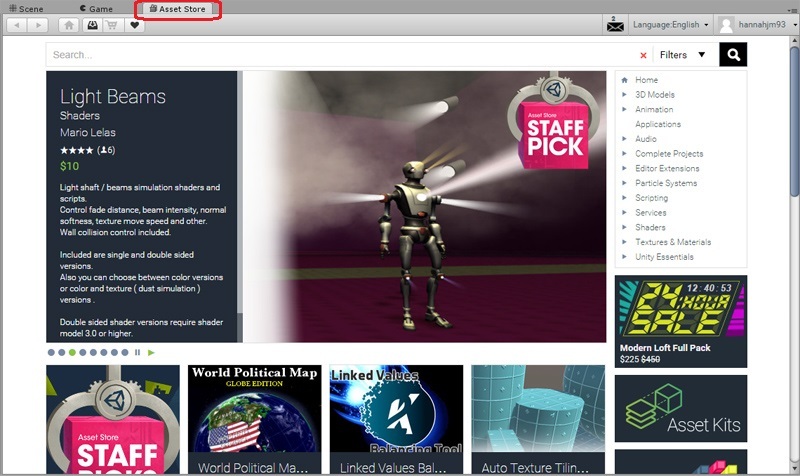 If you are using the Asset Store website, the item you have chosen will have a Open in Unity button next to its' image. Click on the button, and the browser you are using will ask for permission to launch Unity. Accept this and Unity will open. 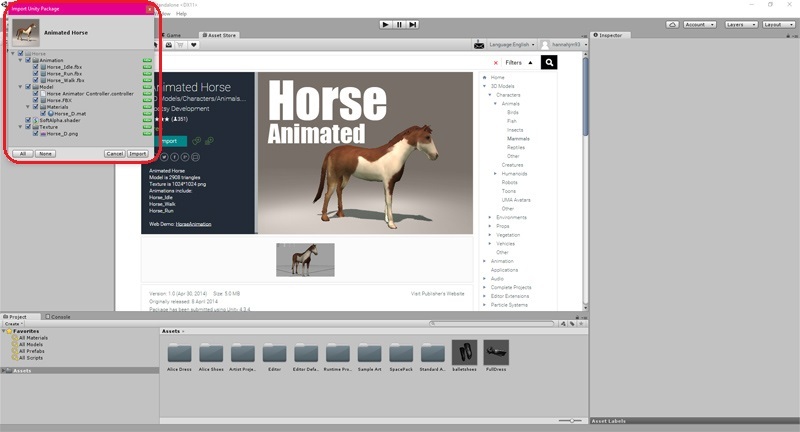 Your chosen item will now appear in the Asset Store within Unity, and the button next to the item will now say Download. 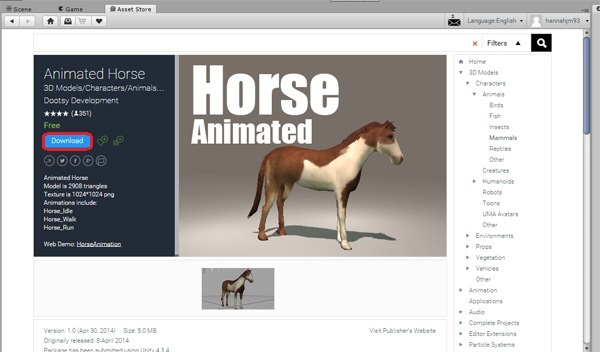 If you are using the Asset Store from within Unity, the item will already say Download. Click on Download. Read and accept the Terms and Conditions. This will start the download of your item. Once the download has finished, an Import Unity Package window will pop up. Make sure all of the items are selected for the import, other wise your item might not work correctly. This will import the item to its' own folder inside of your project.